This article is about the city in California. For other uses, see Los Angeles (disambiguation). "L.A." redirects here. For the U.S. state shortened to LA, see Louisiana. The City of Angels, L.A.
Los Angeles, officially the City of Los Angeles (also called L.A.), is a city in Southern California, in the United States. There are 3,847,400 people living in the city, and over 18 million people in the L.A. region. The city has an area of 1,200 square kilometres (460 sq mi). Los Angeles has the second biggest population of any city in the United States, the first being New York. It is also the biggest city of California. The name Los Angeles comes from the Spanish language, and it means "The Angels". The name is an abbreviation from the original name of the place. The original name is "El Pueblo de Nuestra Señora la Reina de los Ángeles del Río Porciúncula" (in English, "town of our lady the Queen of Angels of the River Porciúncula"). Los Angeles was founded in 1781 while the area was within the borders of the Viceroyalty of New Spain. The area had earlier been explored by two Franciscan priests named Junipero Serra and Juan Crespi and following the Mexican War of Independence the region passed into the hands of Mexico which subsequently ceded control of California to the U.S. in 1848. 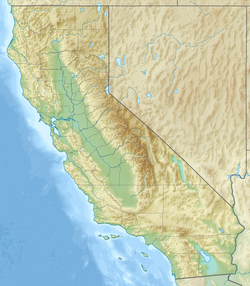 On April 4, 1850 California became a State of the USA. Los Angeles began half a century of rapid grow after railroads arrived in the city in the 1870s. Los Angeles was home to the Olympic Games in 1932 and 1984. It will host the Olympic Games in 2028. Three times the city broke out in riots, in 1943, in 1965, and in 1992, all of which were motivated by race-based injustice against minorities. In 1994, an earthquake killed 72 people and damaged many buildings. Los Angeles is a very large city, and the edges of the city are very far from the center, going from the beaches to the mountains. The Santa Monica Mountains run through the city, separating it into the San Fernando Valley to the north and the Los Angeles Basin to the south. The Los Angeles River also runs through the city some 51 miles (82 km). Los Angeles moves about one-quarter of an inch (6.3 millimeters) to the east every year. 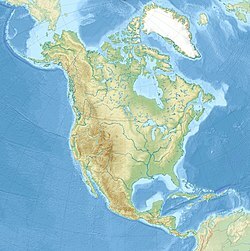 It is caused by the city's tectonic plates and rough ground geography and since Los Angeles is at a close distance with the San Andreas Fault. This brings Los Angeles and San Francisco 2.5 inches closer together each year. The climate in Los Angeles is a Mediterranean climate. The weather is usually warm and dry during the summer, and it is mild and more rainy in the winter. The weather is different depending on how far away from the ocean you are, so places near the beach usually do not get as hot in the summer. It is very rare for temperatures to go below freezing. The city receives about 15 inches (386 mm) of rain each year, although the amount can change a lot from year to year. L.A. has many famous sights. There are many very long beaches, such as Venice Beach. Many visitors go to Hollywood, home to the Hollywood Walk of Fame and the Mann's (Grauman's) Chinese Theater, a large cinema. Los Angeles also has many fine museums such as the L.A. County Museum of Art and the Getty Museum. Another sight is the Los Angeles City Zoo. Los Angeles is the only major city in the world with an active population of wild mountain lions. Los Angeles is known for its large movie and television industry. Much of this is located in Hollywood. Some military aircraft are also made there. The music industry is also concentrated in the area. The city is also a banking center. The San Pedro area has a busy port. Hollywood, home of many well-known movie studios. Elysian Park, home of Dodger Stadium and previously Chavez Ravine. Brentwood, a very wealthy area in West Los Angeles. Leimert Park, home to LA’s historic African-American museums. Westwood, home to the University of California. Boyle Heights, where many Mexican Americans reside. the San Fernando Valley, a large suburban area. San Pedro, where the Port of Los Angeles is located in the city. The current mayor of Los Angeles is Eric Garcetti. ↑ 1.0 1.1 "Frey crafts a new view of modern-day Los Angeles". Today.com. Retrieved November 27, 2013. 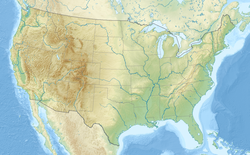 Wikimedia Commons has media related to Los Angeles, California. This page was last changed on 10 April 2019, at 17:43.